On the surface, the first five years of my life looked wonderful as I had the loving support of my parents and siblings. 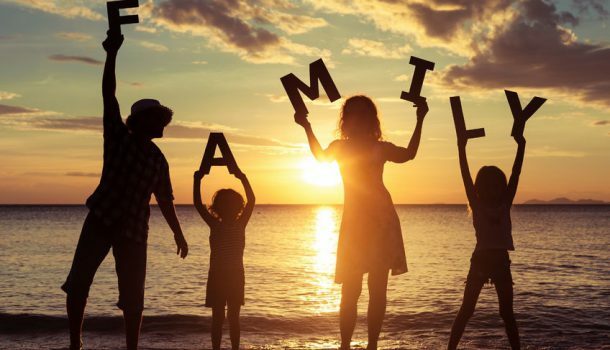 However, my mother’s schizophrenia affected my father, a Vietnam War veteran, who resorted to alcohol to handle the stress of caring for a mentally ill spouse. I was removed from my family and set adrift from foster home to foster home for eight years. I felt alone and confused, continually moving without a stable environment with no permanent family and no sense of security. 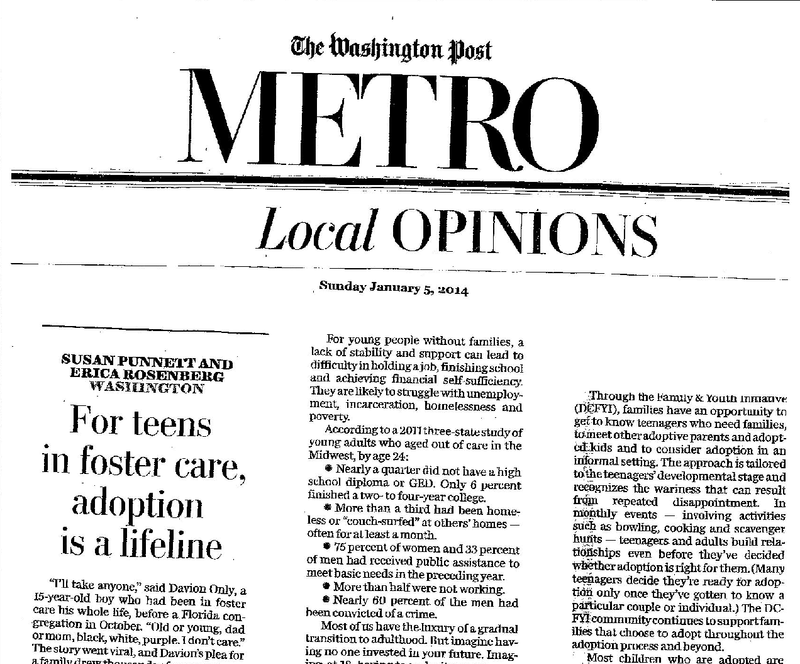 A few years ago, I co-wrote an opinion piece on the need for adoptive families for teens in foster care. It ran in the Washington Post and then got picked up by papers across the country. We hoped it would lead to more teen adoptions so I was excited when new volunteers joined DCFYI after they read the piece. As a person who is purposefully childless, it never ceases to amaze me how much the teens in this program have affected me. Over the years, we have had many DCFYI teen participants in our house for small events, holiday meals, hosting or a needed place to stay. 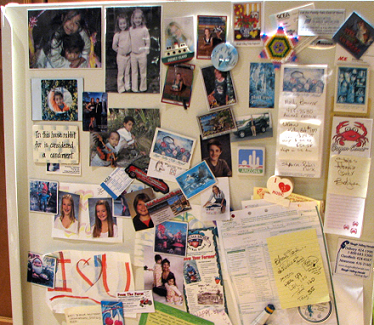 We have their pictures and pictures of their children on our refrigerator like I‘ve seen other people do with family members. I have shared experiences with DCFYI teens that we share with others as good times and fond memories, not unlike what you would hear at a family reunion.